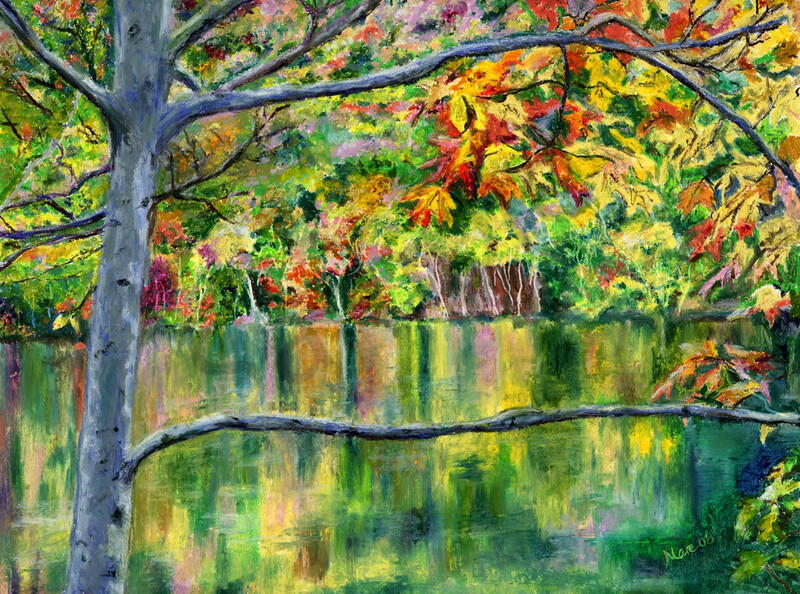 Original oil pastel drawing of a New England lake surrounded by bursts of Fall foliage, creating a colorful reflection in the water by Mary Anne Hjelmfelt. This oil pastel painting was the first art gift I gave to my husband! He took a trip to New England with his family a couple weeks after we met. I used his favorite photo as my subject to bring alive that bursting Fall color change. What a beautiful bonus to have the reflection in the water to enhance the scene!